Jewel at Changi, Changi Airport’s largest commercial development with some 300 retail and dining concepts, officially opened yesterday to great fanfare. We look at some drinking options in this retail jewel of the East. In what is the largest mall opening in Singapore since Ion Orchard opened to the public ten years ago, Jewel at Changi was officially unveiled on 11 April 2019 that saw swarms of curious Singaporeans descending on a space that combines retail, dining, and even nature attractions smack in the middle of Changi Airport’s four terminals. Everywhere you turn expect to see stunning installations and breathtaking views, be it of the expansive multi-facted glass dome with the world’s tallest waterfall, or when the sky train zips through the four-storey Shiseido Forest Valley. As for dining, you’re likely to be paralysed by choice with over 50 options ranging from casual eateries to more serious dining establishments offering cuisines from all around the world. But what if you’re the thirsty sort, and looking for a good cocktail or two? 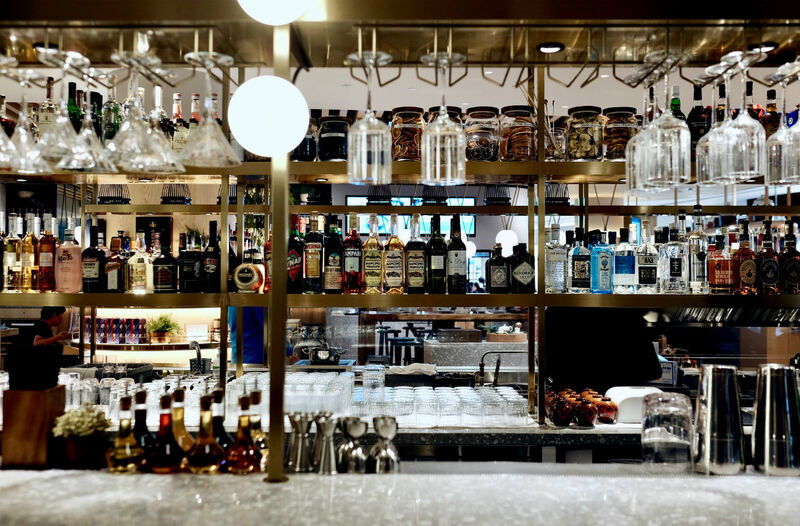 To that end, we’ve put together this special guide highlighting the various options for drinking in Jewel at Changi for your intoxicative pleasure. 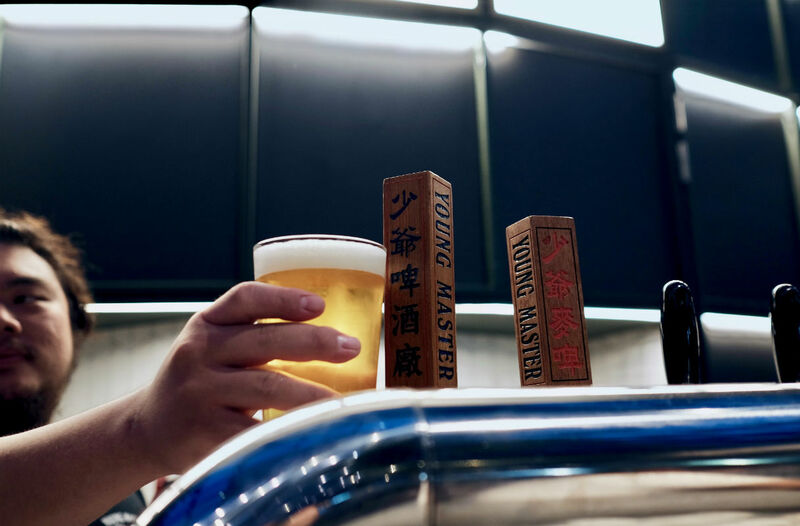 It’s about time – Tiger time – that Singapore’s iconic Tiger Beer got some proper presence at Changi Airport, what with it being the beer every visitor asks for when visiting Singapore. 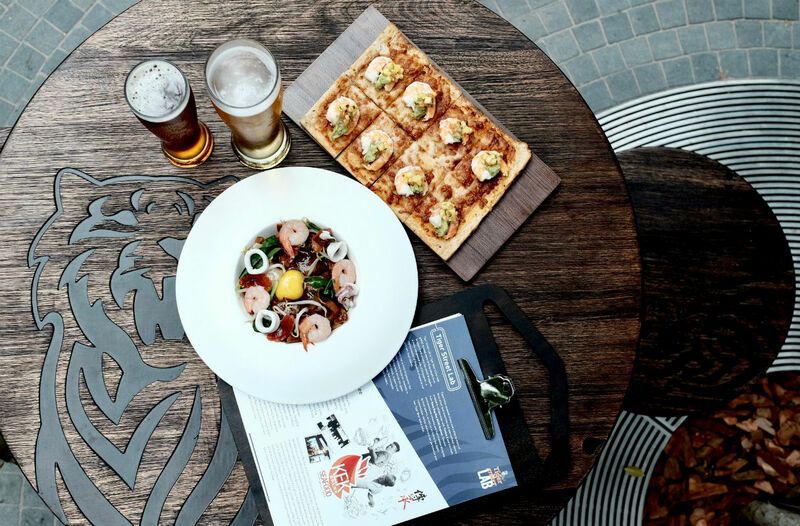 Tiger Street Lab is a collaborative space on the rooftop floor of Jewel at Changi that combines art, local food and, of course, Tiger Beer. For its food menu Tiger Street Lab has collaborated with Singapore “zichar” heroes Kee Eng Kee Seafood, known for its coffee pork ribs and moonlight horfun, both of which will be on the menu here at Tiger Street Lab. If you’re aware of Tiger Beer’s involvement in promoting local street food – from starting movements to keep Singapore’s hawker culture alive, to hosting street food festivals – Tiger Street Lab is almost a permanent space to help continue those initiatives. Other parts of the menu were worked on with “hipster gastro-park” Timbre+. Aside from the ubiquitous Tiger Beer, you can also expect a seasonal, limited edition brew from Tiger Beer to be available as well. The first that was unveiled was a Orchid Black Lager, which sees a dark lager infused with Singapore’s national flower for that special touch. If the name sounds vaguely familiar, Tonito Latin American Kitchen is a casual offshoot of Tono’s Cevicheria in DUO Galleria. The brainchild of Chef Daniel Chavez of Tono as well as OLA Cocina del Mar in Marina Bay Financial Centre, Tonito brings together Latin culinary influences from across Central and South America. Expect familiar Mexican fare like tacos and quesadillas, but also Argentinian choripanes and Peruvian pan con chicharrons (Peruvian pork roll). 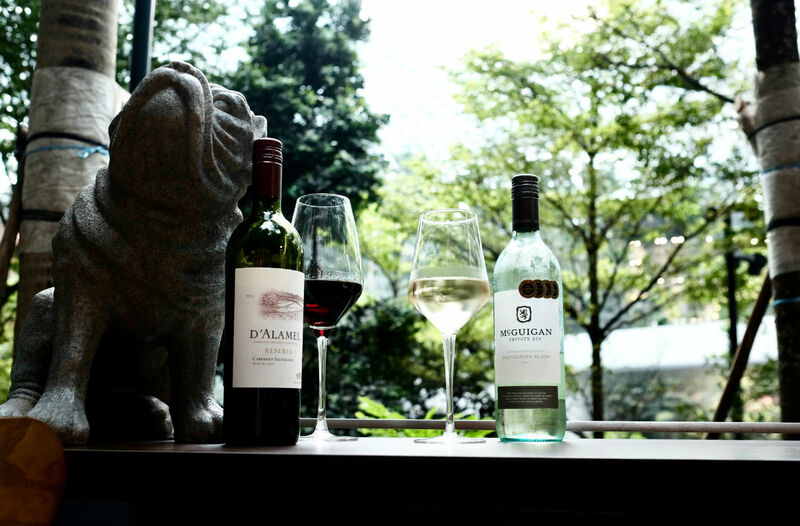 The drinks list here is small but tightly curated to fit the theme and affordability – for wines there’s a Cabernet Sauvignon from Chile, one Spanish Rioja, and a couple of Australian dry whites. But what you want are the cocktails – the Pisco Sour and the Paloma are perfect for lounging at Tonito while watching the sky trains zip by on overhead rails in the beautiful indoor garden landscape. Tanuki Raw/ The World Is Flat. You’d probably find these names familiar – casual Japanese eatery and bar Tanuki Raw has outlets in Orchard Central and the Bras Besar area, and if you travel a lot you’ve probably seen The World Is Flat by Tanuki Raw in Changi Airport’s Terminal 1 selling cocktails and craft beers in its departure area. For Jewel at Changi, owners Empire Eats Group has combined both concepts into one space to offer the fusion Japanese eats Tanuki Raw is famous for, as well as the cutting-edge cocktail and beer offerings from The World Is Flat. We’re big fans of the cocktail Rum Chrysanthemum, a tall drink with strong sweet floral notes, as well as the seasonal Breakfast Club. If there ever was cocktail that tasted like a freshly-baked scone smothered with strawberry jam and fresh Devonshire clotted cream, the Breakfast Club is it. Spanish restaurant chain Tapas Club‘s flagship outlet in Orchard Central has always been incredibly popular for its affordable Spanish tapas eats, so much so it quickly spawned a second outlet last year in VivoCity. Now it’s taken that same concept to Jewel at Changi, making it one of the first – if not the first – Spanish tapas joint in the easternmost end of Singapore. 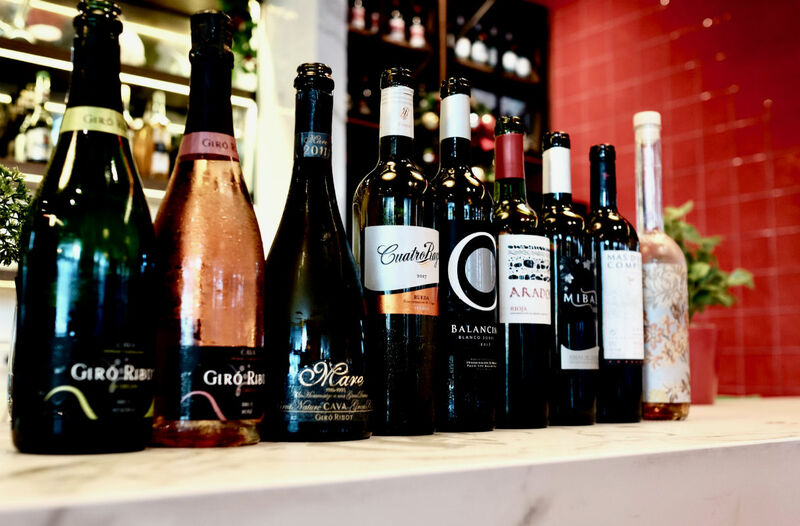 If this outlet is anything like their first two, Tapas Club in Jewel at Changi will offer the widest range of Spanish wines in the entire complex, covering multiple regions, and at very affordable prices too. Whether it’s a refreshing glass of Verdejo, a robust Rioja, or some bubbly Cava to go with your paella or patatas bravas, Tapas Club has you covered. Famous London-based Burger & Lobster chain hasn’t yet officially opened its Singapore outlet in Jewel – its sixteenth outlet around the world – but if the others are anything to go by, there’ll be a range of cocktails to choose from while bingeing on an Original Lobster Roll. We heard it through the grapevine that they’ve tapped a rather senior bartender from an established F&B group to head up its drinks programme too, so you can expect the tipples here to be good. Shang Social is The Shangri-La Group’s first-ever standalone dining establishment outside of a hotel property. And with the 220-seater offering three Chinese cuisines – Cantonese, Huaiyang, and Sichuan – it also promises to be a very all-encompassing project. What’s even more ambitious than trying to combine three distinctively different cuisines is Shang Social’s sprawling wine selection – the space is dotted with wine chillers everywhere – from different regions and wine styles across the world, as well as a 15-seater cocktail bar churning out cocktails with Chinese influences. We especially recommend its Pandan Pandemonium, a gin sour that tasted wholly like the local dessert ice jelly. Shang Social even have a specially commissioned chrysanthemum ale from Archipelago exclusively available here. In what is a massive win for the local craft beer scene, wildly popular New York burger chain Shake Shack will be carrying beers from Singapore’s very own gypsy brewer Brewlander in its very first outlet to take root in Singapore. While we certainly don’t think most people are going to be streaming into Shake Shack in Jewel Changi for beer, to have a local craft beer option represented is one more great reason to grab a burger here. Award-winning casual dining restaurant from Bali, Rumours Bar & Grill, opens it second outlet in Singapore – after the one in Holland Village – at Jewel, where you can expect the same casual laid-back vibe as in Bali but with air-conditioned comfort under Jewel’s glass dome. Here you’ll get a range of refreshing fruit-forward cocktails, ranging from the peach and elderflower-laced Blowing Smoke, a rum sour, to the gin sour with plum and apple flavours that is Two Boyfriends. Now we’re pretty sure we’ve left out some establishments in Jewel with perfectly viable drinking options – maybe they’re not officially ready, or perhaps alcohol is not a key focus for them. We’ll be bringing you more in-depth reviews on each one soon, but for now these eight options should be sufficient for your drinking pleasure whether you’re dropping in as a local or hopping out of the terminal for a short layover. Just don’t miss your flight.